Late summer blooms in the O'Leary Peak and Sunset Crater Volcano area. 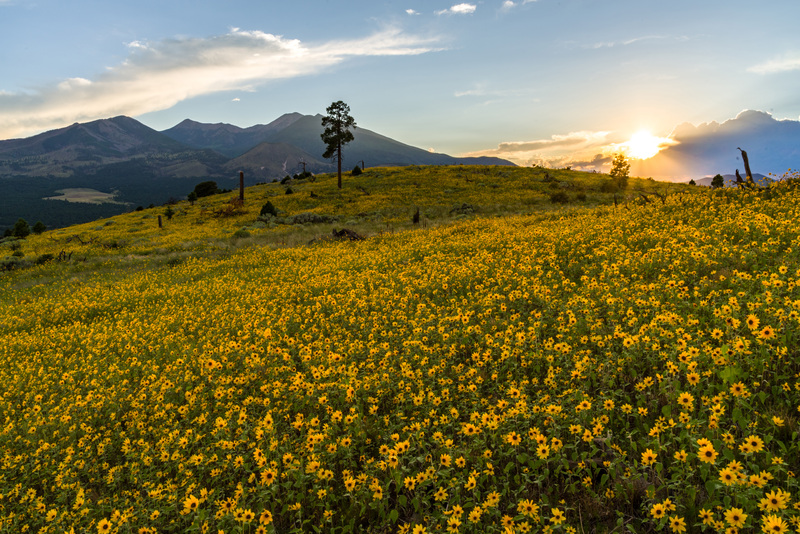 Monsoon season brings a burst of wildflower blooms to Arizona's higher elevations around Flagstaff. Fields of sunflowers blanket many open meadows and fields on the eastern side of the San Francisco Peaks. Photo taken August 23, 2017 by Deborah Lee Soltesz. Credit U.S. Forest Service Coconino National Forest. Learn more about the Forest Service, USDA Follow.